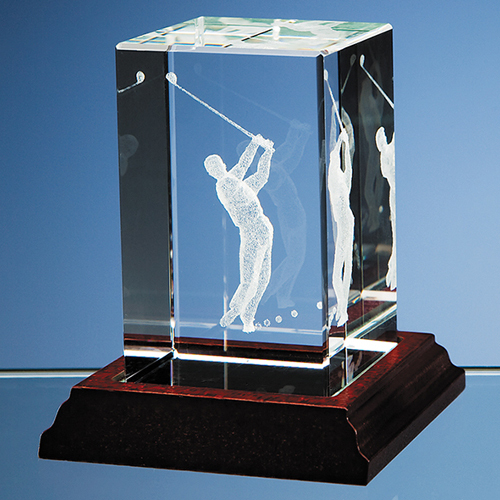 The perfectly clear optical crystal rectangle has been sub surface laser engraved with a driving golfer design. It is available in 2 sizes and will make an ideal golf award or prize that is sure to be well received, especially when combined with the wood base, as shown. Please note the price does not include the wood base.